In Summly, Yahoo’s woes summarized? : How much is attention worth? If you are Yahoo, then about $30 million. The company paid that much to acquire (and shutter) mobile news app Summly, making 17-year-old “Internet Boy Wonder” Nick D’Aloisio the big man on campus in his school. Even taxi drivers are talking about the deal, though technology insiders are shaking at their heads at Yahoo and wondering if it can even dream of returning to relevance. Some aren’t so sure. Vibhu Norby thinks Yahoo shareholders need an explanation because the math doesn’t make sense — $30 million for two engineers, a founder and dubious control of intellectual property. But hey, this is the same company that hired a guy as its CEO who had made up his resume. Emin Guen Sirer doesn’t pull any punches in his dismissal of the deal. Can D’Aloisio inject some minty-fresh thinking into the company? Math Madness: As algorithms become the driving force behind the latest and greatest mobile apps, NPR asks the question: Is math the next tech bubble? 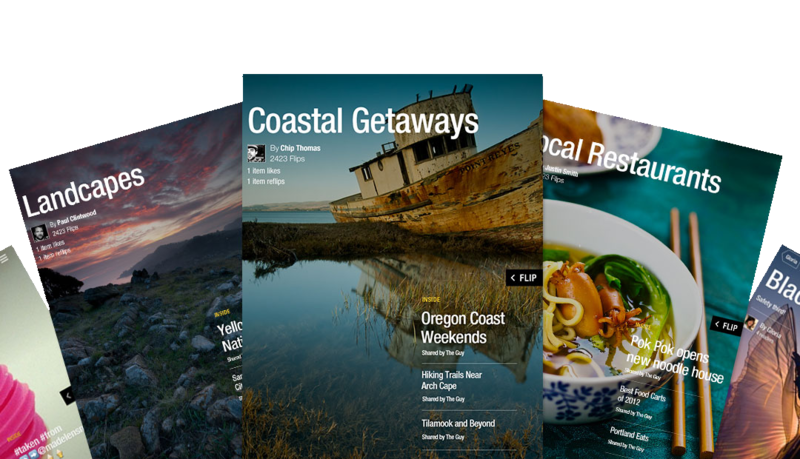 Flipping the magazine world: Flipboard packed a few potentially disruptive features inside its latest update. The company announced the Flip It! button this week, which will allow users to collect articles, images, videos, and songs from Flipboard content, RSS feeds, and social streams and curate them in their own digital “magazines” right inside Flipboard, with the best ones being featured by the company. T-Mobile says contracts are stupid: And since we’re on the subject of disruption, T-Mobile is hoping to step out of the shadows and “rattle the cage” of the wireless industry. CEO John Legere introduced the company’s new “un-carrier” moniker, which means T-Mobile will do away with phone subsidies, and will offer plans and phones untethered — including the iPhone 5 — starting April 12. While that may incite a guttural “hallelujah!” from the depths of your 24-month-contract-abhorring soul, you should make sure the switch is worth it, both in cost and coverage. By the way, if you are switching from AT&T, then your iPhone 5 is going to work with T-Mobile’s LTE (but not 3G) network. You can choose to buy your device outright and enjoy contract-free usage till the cows come home, or plop down a smaller chunk of change and pay off your phone over the course of 20 months, rendering the balance if you choose to leave T-Mobile before then. Not exactly a contract in way we’re accustomed to, but still a pretty short leash. T-Mobile also lags behind the competition in fast wireless speeds, but the company is finally dropping its LTE service on seven cities across the nation, with more being rolled out in the coming year. Still, there are many questions left to be answered: Are T-Mobile’s offerings enticing enough to get you to switch? Was John’s new cool-guy wardrobe a hit? What will T-Mobile girl Carley Foulkes do now that she’s been handed her pink slip? Two Kinds of Cyber Warfare: We all wish that time would slow down a bit, but the Internet? Not so much. The biggest cyberattack in history took place this week, causing slowness for users around the globe. It’s suspected that a group called Cyberbunker targeted their 300 billion-bits-per-second DDoS attack at The Spamhaus, a spam-fighting group with which it’s had a long running feud. If that’s not enough, a trio of divers was busted for allegedly trying to cut through undersea Internet cables just off Alexandria, Egypt. If those cuts had been carried out, it would have made things even worse by crippling the web access for entire continents. Though both attacks were thwarted, it makes you wonder if hand tools with sharp edges are still a bigger threat than zombie PC’s. Someday, advertisers might be able to skip all that pesky market research and simply use their brainwaves to deliver targeted ads in real time. Sounds fun, right? More advertising is coming, and there is nothing you can do about it. “The question for brands will change from “How many fans or followers do you have?” to “Whom do you want to reach?” writes AdAge. The San Francisco Bay Bridge will be lit up with over 20,000 LEDs for the next two years. Here’s a look behind the project. Will Google Glass follow the path of most innovations and totally tank the first time around? The rise of the noUI. Simply a brilliant and must read article. We are happy to report that coffee is, in fact, nectar of the Gods.